The festival will take place in Orange County, California from September 8 through 10. 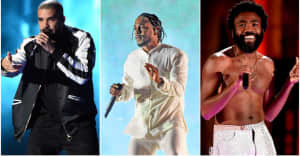 Travis Scott, Chance The Rapper, and Kendrick Lamar and scheduled to headline Day N Night Fest 2017 in Orange County, California, the festival organizers announced on Friday. The stacked lineup for the three-day event also includes Kid Cudi, YG, Lil Uzi Vert, Khalid, 21 Savage, Post Malone, SZA, and more. Limited early bird presale tickets go on sale July 7 and general tickets are available on June. See the full lineup and get more info here.